Discovering the hidden beauty of Milan; The subject of my next Travelogue to be published in the new year and following on from the high selling travelogue on Florence. Milan is a culture treasure chest that undersells itself to the tourist industry. Hiding behind a screen of high business, Fashion and industry, with the jewels only mentioned in passing. Having just returned from a two week working trip with heavy cameras and laptop, I found the other face. With over 1,000 photographs and high volume copy I will now compile another full colour A4 Travelogue listing the best places to visit, to stay, to eat and relax. It will be a mammoth task but one that will go behind the mask and the swirling clothes of Lombardy. It will be on sale sometime in February and notified on my sites, and notification on Facebook and LinkedIn. The last thing I will ever claim is that I am a keen gardener, a quick look over my fence will confirm that, but that was before I discovered Dipsacus fullonum. It’s not just a plant, more of a pet and looks like a wafer thin dancer with a pink headband. Writing in Gardeners World, Kate Bradbury describes it as a ‘high-rise tower block providing food, shelter and a hunting ground for a myriad of creatures. She was extolling the virtues of fuller’s teasel, a plant that remains in the memory of cyclists who fall foul of a clutch and literally land in the middle of a family group. Pain and trying to get the little rascals off ones clothing and skin being the unforgettable bit. The multi-use plant serves mankind in a variety of ways; as a decorative emblem in a dried plant display and in particular the textile industry where the spiky bobbly bit on the top was used to tease out the sheared wool by raising the ‘nap’, though quite what it has to do with a card game is beyond me at the moment. The other less attractive part of life in the teasel household is the bobbly bit crawls with black, red, green and yellow aphids in a farm collective for ants who milk the honeydew off the leaking aphids before they become a meal for the larvae of ladybirds, hoverflies and lacewings. Being a young aphid in Dipsacus fullonum certainly does not abound in opportunities for advancement or good career moves. Also the spiky bit attracts bumblebees and butterflies climbing over each other to get to the nectar. A quick count up would make you think that was enough for any plant, but apparently Dipsacus fullonum enjoys a tasty meal of the little bugs that get trapped between the stem and leaf. The joint between leaf and stem forms a cup that collects water and any aquatic minded bug going for a swim is likely to end up becoming an essential part of the plant from the inside. Not that anyone has seen the plant having a good chew of the victim, but observations have revealed that the plant with the most dead insects in their little cups usually have the most flower heads. It does beg the saying ‘Not a lot of people know that! Two Essex songwriters have completed a journey started two decades ago and published a song they wrote about a Princess and her tragic life. Diana, an Ordinary Girl got its first outing on You-Tube the last week of May, the 20th anniversary of Diana, Princess of Wales’ death. Written by the Hornchurch team of Dave Ross and Nick Dawson and fulfilling a personal promise they made to the memory of the People’s Princess. Diana made a remarkable impact on everyone during her short life, moving the two songwriters to create their own special tribute to her. 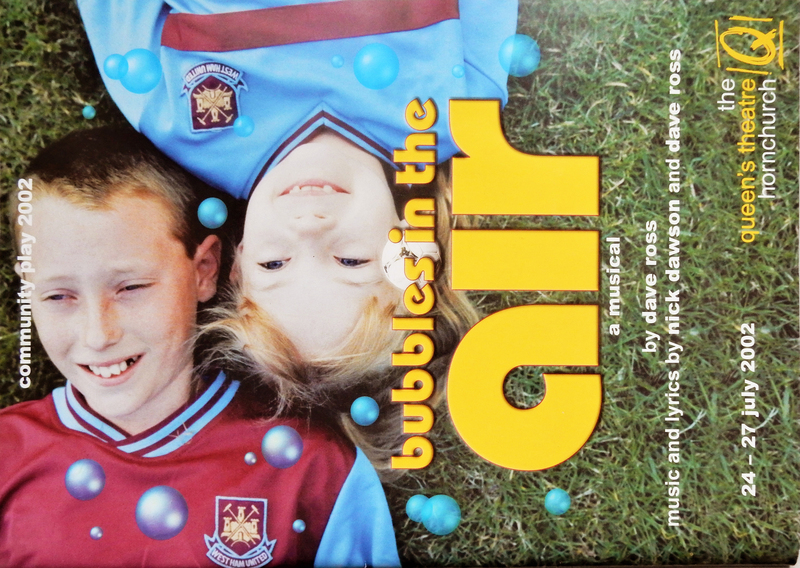 The song was outside Dave and Nick’s usual remit, writing instead a decade of memorable and outstanding shows for the Queens Theatre, Hornchurch Community Musicals; creating a legend in their own right by adding a remarkable new leaf to the professional theatre in Billet Lane. As with the People’s Princess, they added the People’s Community Theatre and brought a glittering period of entertainment that slotted in perfectly alongside the parameters of professional theatre. The result was outstanding in the excellence and pure enthusiasm of more than 70 local people of all ages who were given the treasured gift of performing on stage, something they all took with both hands and feet. This song for Diana is the latest of Dave and Nick’s remarkable additions to the exciting ambience that became Hornchurch and the Community Company. 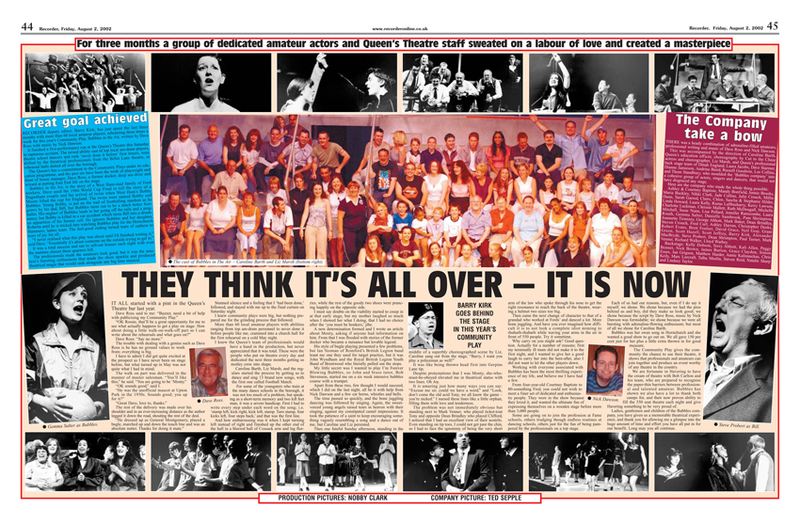 It reflects and emphasises the spirit that existed a decade ago when Queens Theatre became a venue for the fulfilment of the hopes and aspirations of appearing on stage that spilled over with fun and laughter. 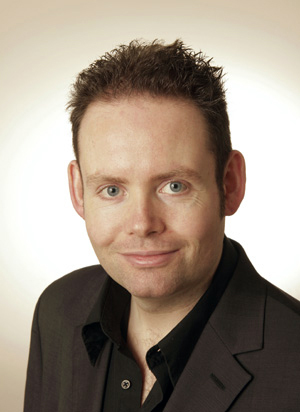 Though Dave is now retired, Nick is extending his musical career and now a prestigious conductor of the west end smash, Mamma Mia, they are still both active in the community as shown by their latest work. The shows filled the stage with amateur actors and the auditoriums with patrons who created an atmosphere not seen before or performed with such excellence and imagination since. There were many young people who developed into excellent actors, one such who went onto to a west end career on stage is Gemma Salter. 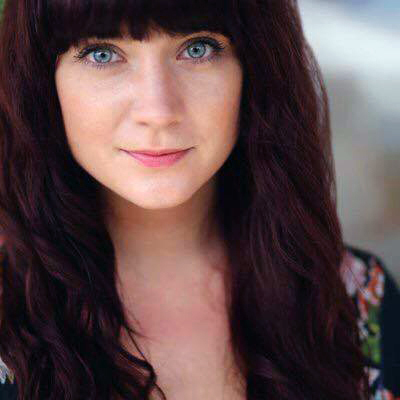 Bubbles in the Air launched her professional career and she later took the west end theatrical world by storm in Made In Dagenham, playing alongside and standing in for Bond Girl, Gemma Arterton in the Ford inspired musical. It achieved its West End and world premiere at the Adelphi Theatre in 2014. Gemma is now much in theatrical demand and playing theatres across the UK. 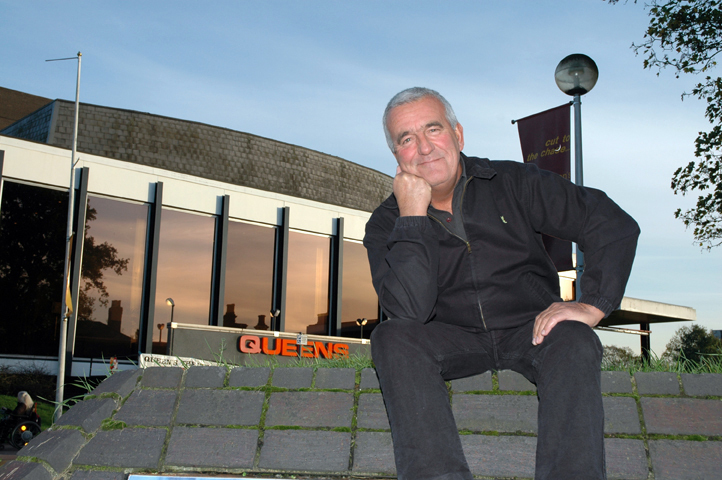 The story of the Queens Theatre and the Community Company is one to enjoy. It brought magic to the theatre in Billet Lane, Hornchurch and the memories not only linger on, but remain as a constant reminder what enthusiasm, talent and unbridled joy can bring. Our good deed for the day is to support a Bell Tower. Now there is something to mull over the cornflakes. If you can imagine historical buildings clutching their bell towers in agony after a dose of shingles, then you would not be far off the facts. 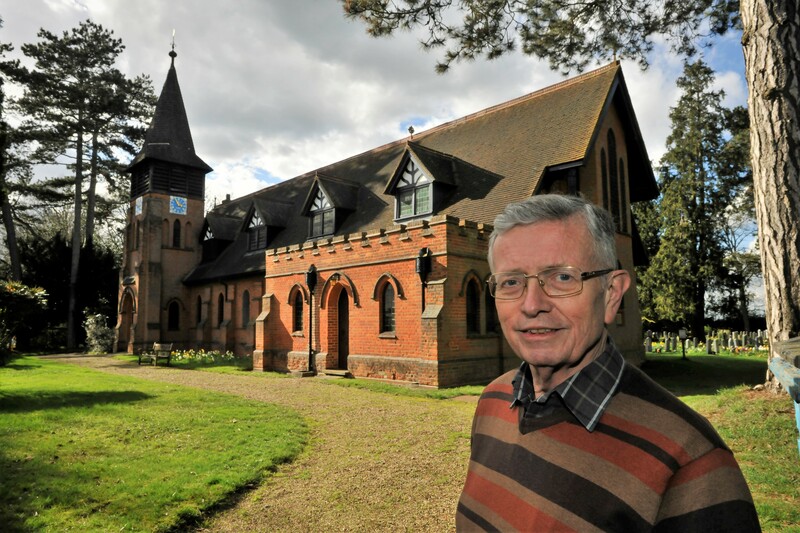 It is a mystery of our language that one title can take many forms, and by way of explanation, a Church in Kelvedon Hatch, Essex, has a very bad attack and is appealing for help. 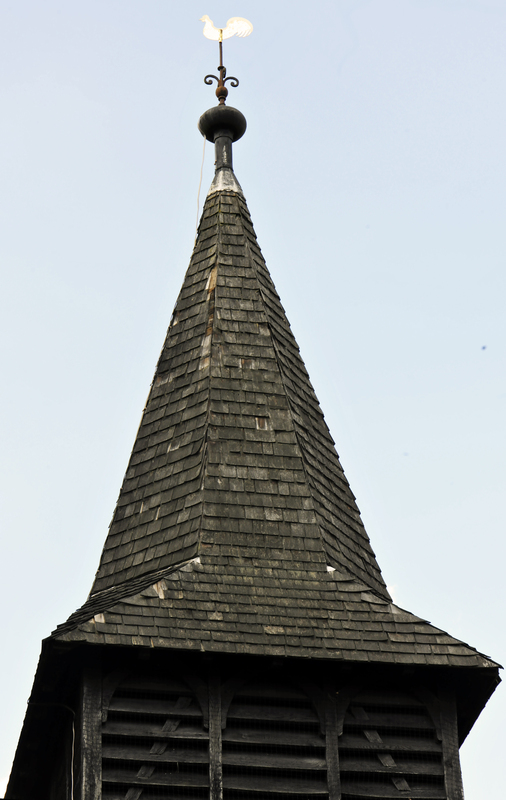 The shingles in question act as cladding and surround the bell tower of St Nicholas’ Church and are in great need of being replaced before the rot sets in and the bell loses its ‘ding and dong’. Unthinkable for church first mentioned in the Domesday Book of 1086 with connections to the Wright Brothers and their leap of faith into the air some eight centuries later. But first the problem: Shingles are small blocks of wood that surround the spire offering protection and support against the elements. A recent survey by a man who is paid to know about these things has come up with a warning that the present cedar shingles have had their day and need replacing with the strength of good old English Oak. 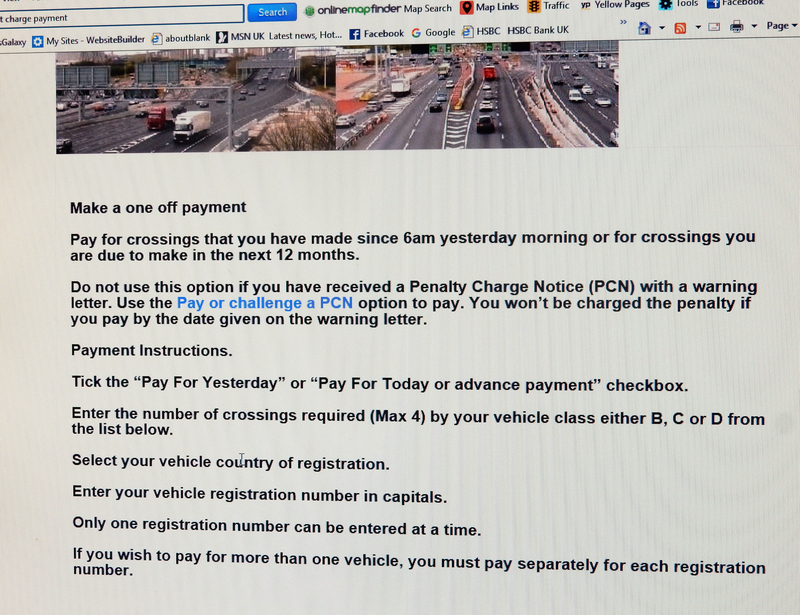 That is going to cost £40,000. 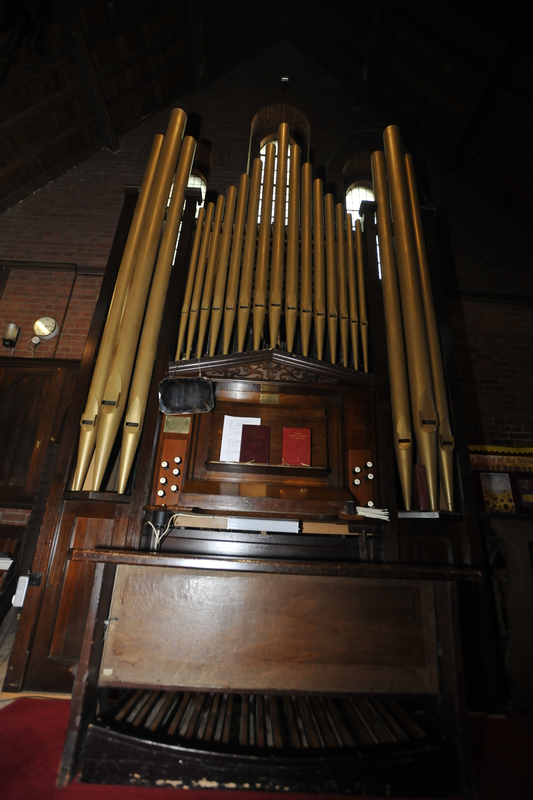 A massive amount for the coffers to match, so an appeal has gone out from the Rev Mark James and Churchwarden, Christopher Jardine for donations literally, to keep the bells ringing. Since the bad news survey, the parishioners have managed to raise half that amount but are still short of the final figure. It is easy to think of this as just another appeal, which of course it is but if left, this could be the last peal. The financial climate at the moment has left the collecting tins empty, and time is running out. So the church is asking for help from those heritage minded people who really appreciate the beauty of our countryside and prepared to be generous. 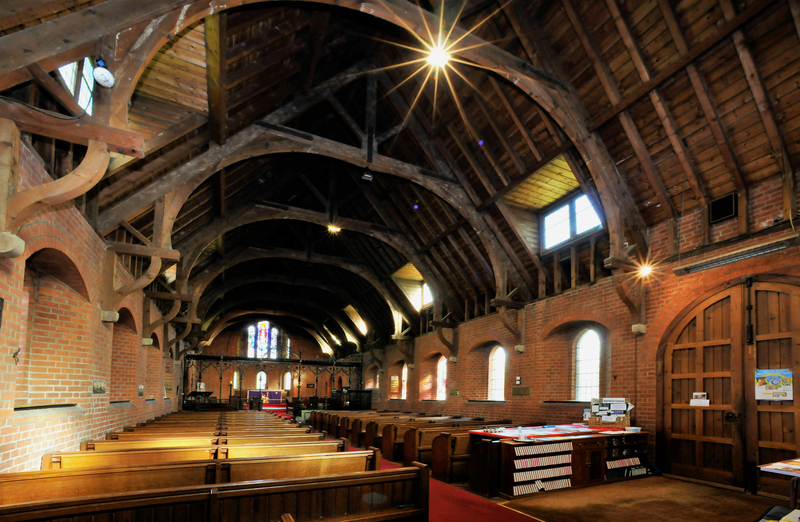 For those familiar with the A128 and travel from Brentwood to Ongar, the Church sits on the corner of the beautiful village of Kelvedon Hatch. 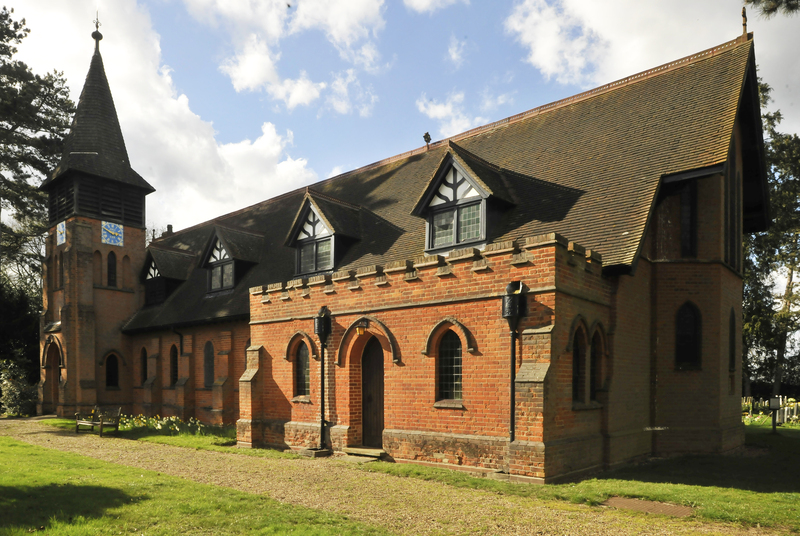 History reveals that there has been a community in the area prior to the Domesday Book, which recorded three manors, one being Kelvedon Hall with a church in various forms in the grounds. The Hall is still proudly standing and is the home of the present incumbent of an ancient right called the Advowson. A gift presenting the next incumbent the right to reside in the Hall. Quite a major hand me down pressy by any standard. The historical connections of the small settlement mentioned in 1086 record a noble called Alric of Kelvedon Manor, who joined the English fleet in an attempt to see off William and his conquering army. Well that did not work but from this gesture, the church is named after the patron saint of sailors. As mentioned, another connection is with the family of two brothers credited with the first powered flight, Wilbur and Orville Wright, being the descendants of a previous owner of the Hall, John Wright who bought the manor in 1583. There is also connection with the Luther Family of Essex with Jane Luther, the wife of Anthonie, buried in the church yard. The neighbours also get in on the act as the land on which the present church is built, was gifted by George, the eighth Lord Rodney, one of the great naval heroes of Britain whose family lived in the neighbouring manor at Brizes. The present church rose from the ashes of a few other buildings that over the centuries suffered from neglect and the weather; it was after a monumental fund raising campaign in 1893 when the humble penny from rustic pockets and cracked kitchen glass jars made short work of the £2,000 re-build target. A small amount by today’s standards, but a mountain for a poor agricultural community that realised the consecration of the new St Nicholas’ Church in 1895. So much history to be explored and going back over a millennium, worth preserving and visiting with artefacts and plaques from the previous buildings on display. 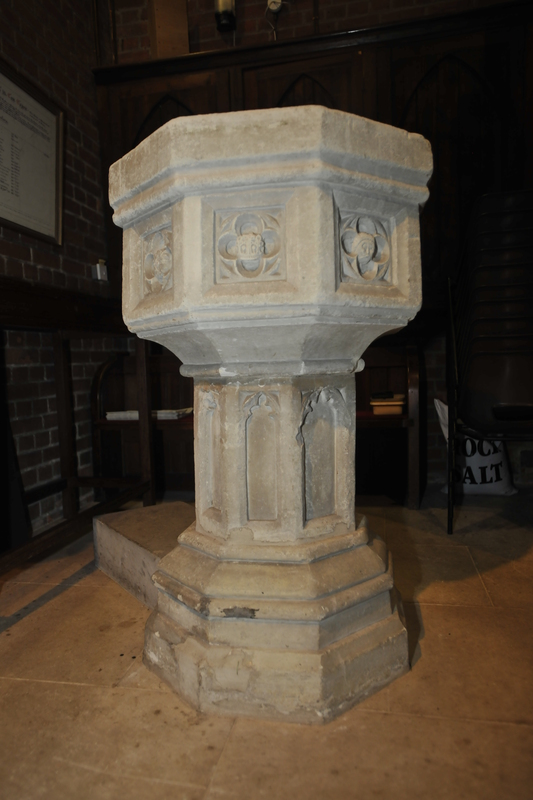 The font dates back from the 14th century and was in the medieval church and now place by the front door. A remarkable piece of Essex history and one deserves a wander through and perhaps a few more pennies. A phone call to 01277 373816 is all you need for a donation form which can be Gift Aided through the tax system and give the Church an extra 25p from every pound donated. It started as a nice quiet week, no rash moments, all events planned out – even down to the good idea to get into training for the annual Leukaemia Research Bike-a-thon through west London. Now called Bloodwise, the name is not really that relevant compared to the sheer imagined terror of thousands of bright red clad tee shirted riders turning the pleasant quiet roads of Richmond into an artery by a different name. The similarity to a maelstrom of gushing red wheeled simulated blood corpuscles haemorrhaging from the venal supply routes that descend on the Royal Park is one not to confused with a grazed knee. It is more exciting than that, something akin to the finish line charge of the Tour de France. Training for a 60 mile run usually entails regular trips out in my part of north Essex where the hills do a fair impression of the Lumps of Rome, but steeper. Muscle building starts at the bottom of one of these hills by pausing to look up, before getting off and pushing the bike to the top. As the number of attempts on the summit increases and the dismounting marker gradually reaches beyond the Public Bar window of the Orange Tree Pub, base camp one (BCO) re-suss station is by the traffic calming bollards. A notable maker before the lactic acid in the muscles not quivering uncontrollably, gives a tacit shove over the top. Walking is a lot more comfortable for no other reason than the saddle is quite small, shiny and hard after the winter layoff. I call it my Roy Rogers syndrome for those with a long memory of his manner of dismounting from Trigger and the strange walk. back to the Bunk House. Of course it is not like that at all, but the above description is coloured version of my last trip out when taking full advantage of the steep decline back to base camp one. It was either a stone or pot-hole, but the gathering speed lifted the back wheel off the ground in a serious wobble that was exacerbated by right foot jamming onto ground and literally throwing bike and rider in a graceful reverse arc with an intermediate exchange of positions resulting in the rider flat on back and wearing the bike, the resulting suspected crack rib really does smart. The spectacle was sufficient to stop two motorists who witnessed the aerial ballet to see if they could claim salvage, No, I was grateful for their concern but the dent in my pride resembles the non geometric shape of the rear mudguard or the multi-coloured bruising on sternum, thigh, arm and chip out of the right shin. Thank goodness my machine is a Claude Butler Roadster and obviously built for wear and tear. 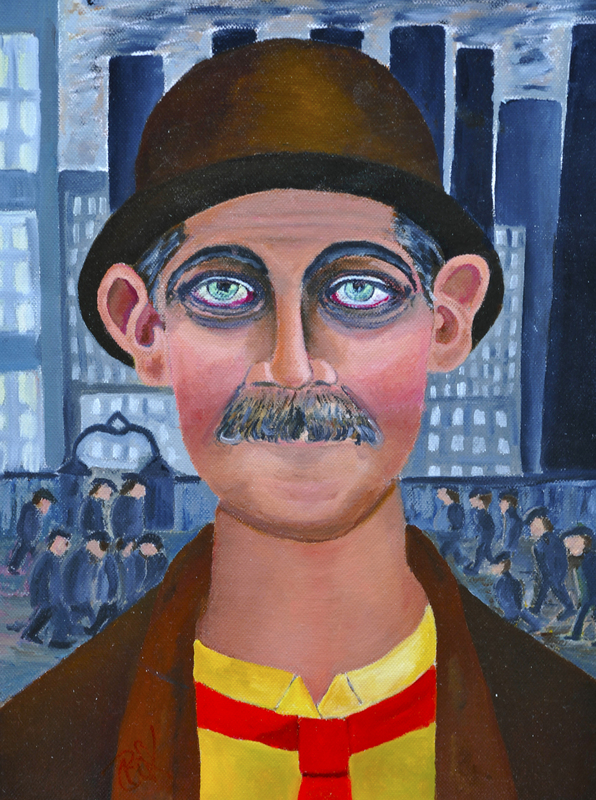 Movement is confined for a while and accompanied by pitiful sympathy searching groans, but no direct response yet. The reason for all this mush is not only to raise awareness of my need to add to the already raised figure or £300 for the Leukaemia Research charity in June, but the strange painting of Salford Sid above to pass a comment about a joint art exhibition I am holding with my brilliantly talented acrylic artist friend, Zoe Clements which is in the foyer of the Queens Theatre, Billet Lane, Hornchurch. now until Saturday April 22. The foyer is open Monday to Saturdays, 10am to 8pm and free to enter. Thank you for listening. 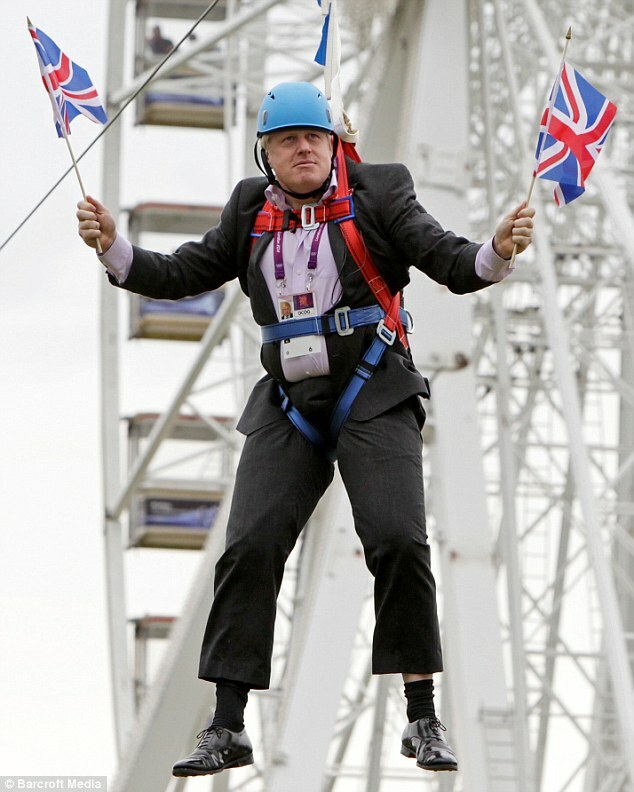 The fact that Boris Johnson has just admitted he wrote an anti Brexit article months ago could be treated along side a belief in Faries at the bottom of the garden. It would appear to be typical of the double standards in the tawdry politics we are now being fed. The only good thing is that it has the transparency of water and should fool no one. It shows also that the going is getting tough for the enigma of Westminster and he is trying to extricate himself from the very deep hole he created, and I suspect, this prime example of ‘do it yourself’ is the real reason behind his startling elevation to his present Cabinet position. Within the parameters of ‘get out of that’, is this the beginnings of Boris revelations to come that it was all a big mistake and he did not really mean it? Unfortunately for him, he carries far too much luggage enhanced in his ‘Leave’ campaigning to be believed. I feel it is sad that such tactics should be used on an intelligent electorate, and can only hope that the unwritten warning on the Boris box should be reflected in a result when he stands for re-election. I think the Lord Protector of England, Oliver Cromwell had a saying that fits; something on the lines of ‘sit here any longer’.